Definition: A court may award this equitable remedy in order to correct mistakes made in a written agreement. The agreement will be corrected to state what was initially intended by the parties. 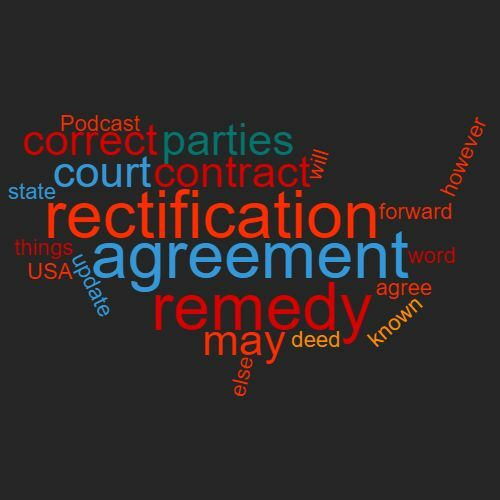 This remedy is only available in limited circumstances and if there is a dispute about the alleged mistake, the party seeking the rectification must prove that something else was intended and therefore the contract should be amended. If the parties both agree however that there was a mistake, then things are more straight forward; they may update the contract by entering into a ‘deed of rectification’. In the USA this remedy is known as ‘reformation’. Example: The court ordered rectification to correct the agreement. This word features in Episode 59 of the Study Legal English Podcast.